Styled with berna pant and eva sweater . Vintage inspired and cut for a feminine silhouette, the Matthieu is made with sheer chiffon that's beautifully light. The fine pleats keep their shape even after the wash. Pretty and practical. 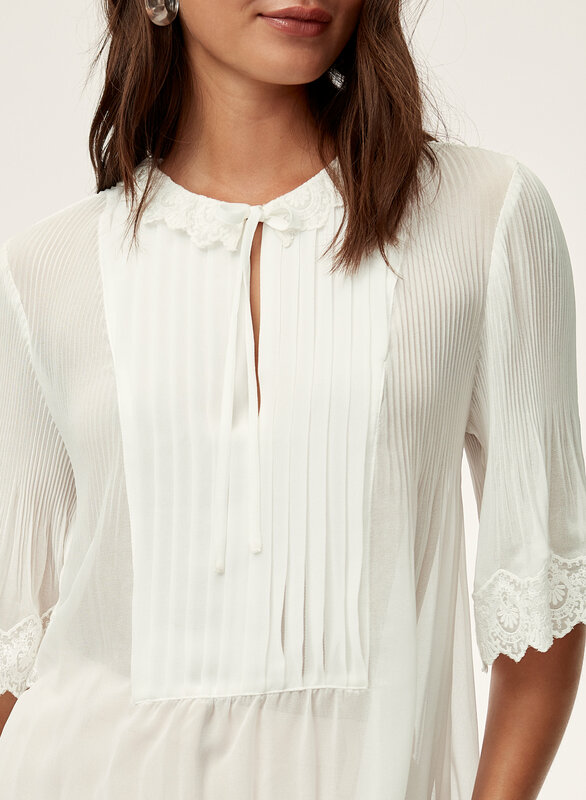 Beautiful delicate blouse, love it! Fabric is delicate with feminine styling. 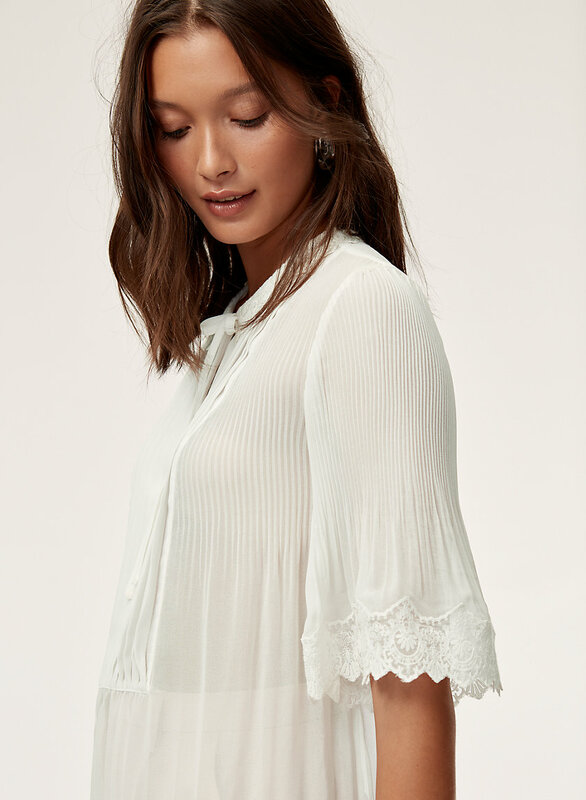 Pretty and romantic blouse but very very sheer and the sleeves stick out a bit due to the thicker hem design. It’s very see-through. I’d recommend a beige rather than white tank top to wear with it. It’s very delicate and would be suitable for more formal events. I would look great with a skirt or pants. The details are also beautiful! And it’s very comfortable because it’s so light and flowy. 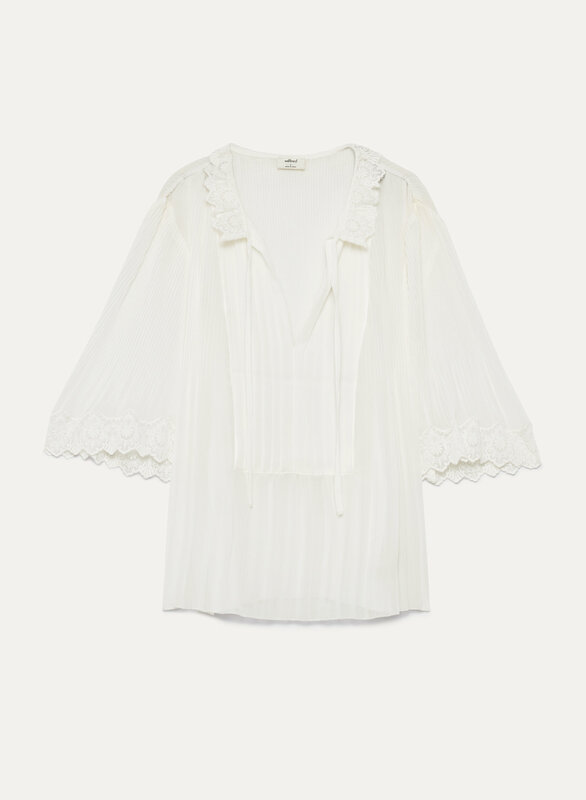 So light and ethereal, I love this top. I like to pair it with light skinny or straight-leg jeans, and a pair of flats. It is a thin material, so for work I wear a white tank underneath!